Why did socialism fail? Apologies to those in Venezuela and Cuba, but I refer to the grand experiments in socialism undertaken by the Soviet Union and China. In both of these experiments, socialism gave way to a somewhat free-market-based economy. For the USSR, the transformation was a quick and traumatic upheaval, while in China, it has been a drawn out process of evolution. Regardless, the result is the same: failure (at least in economic terms). But why did socialism fail? And what does that have to do with sustainability? The short answer to both is price. Prices are a critical signal of supply and demand. When prices rise, new suppliers wish to enter the market and provide additional supplies. In a free market, prices freely adjust. Under socialism, prices are set and slow to adjust, frequently for reasons other than economic—such as political will. The result under socialism: Supply was frequently not met or cost of production was subsidized due to artificially low prices. I agree, but let’s simplify for purposes of the sustainability argument below. I agree, but compared to socialism, free-market price fluctuations move at a reasonably quicker clip. Exactly, let’s discuss externalities and sustainability shall we? Many of us in the sustainability field would argue that price has abjectly failed to reflect the true cost of many aspects of our economy (and for purposes of discussion, sustainability here refers to environmental, social, and broader economic aspects as discussed in the Global Reporting Initiative). For example, the cost of carbon, the cost of waste and pollution, the subsidized cost of water and energy, the costs of below-living-wage payments to employees and suppliers, and so on. While few would argue that the government should set prices on these externalities, most see a role for government in which it creates rules so that the true price of externalities can be reflected in the price of goods and services. Under these idealized roles of government and the market, price still reigns supreme. Externalities are appropriately valued into the price and the price then interacts with supply to drive a sustainable social-environmental-economic system. For example, if a government builds in an appropriate value of carbon, through a tax or a mandatory trading scheme, the cost of carbon impacts will be built into the price of the energy source; therefore, the price of burning coal will rise, while the price of solar, wind, and other carbon-lite energy technologies will be reduced. And yet, something is wrong. For many, the cost of these externalities does not seem to be reflected in the price of the good or service. Certainly, there is an element of perception and subjectivity in the answer to “what is the accurate price?” and people can argue (and have argued) over the appropriate price for a long time. But increasingly, science is catching up to the debate. The science on climate change and its economic impact is growing more accurate. The cost of poverty and hunger and pollution are beginning to crystallize. By all indications, the costs of these externalities are not being reflected in the price of goods and services and are largely being borne by local, regional, and national communities. Why is it that basic economic principles are failing us when it comes to the externalities of sustainability? That is the central question. The theories of appropriate pricing for externalities and marginal damage (for example, environmental or social damages) are well established. On the free market side, we expect scarcity to drive price. And yet, we have not seen the impacts of constrained resources such as water, rare earth minerals, natural areas and functioning ecosystems, carbon emissions, and so on, reflected in the market price. Outside of the market, governments have a variety of tools that can be used to influence prices. The most common theoretical mechanism is a tax (termed a Pigouvian tax) set at a level to match the cost of the environmental or social externality. There are obvious practical considerations, such as determining the value of the social and environmental externality that would accrue to the company being taxed; but in practice, this has been overcome through trial and iteration, tradable pollution credits, or marketable permits. Nevertheless, we have seen little or no government intervention to influence the price of sustainability impacts except in cases of carbon and environmental pollution. Take carbon as an example. There is a price on carbon. It is confined to the energy-intensive sectors that operate under one of several mandatory or voluntary carbon trading schemes, such as the European Union Emissions Trading Scheme (EU ETS). So far, the price on carbon has been disappointingly low. The EU ETS price has been hovering around $10–$20 per megaton for the past two years while energy scenarios project that in order to meet the 450 ppm goal set out by the IPCC, the carbon price will need to grow to ~$200/ton by 2050. There are few other examples in which a price on the sustainability aspect is even available. Take ecosystems services—a field that is fraught with uncertainty and controversy. Costanza et al. (1997) estimated a minimum global ecosystem services value at $16 to $54 trillion. Compare this to the Gross World Product calculated in 1995 as between $33 and $34 trillion. To date, there are only a handful of companies that attempt to quantify ecosystems value, let alone accrue that value into the price of the product. The message is: where a price has emerged on these sustainability externalities, the price is moving glacially (pun intended) in comparison to the impact of the externality. Is this a failure of theory or a failure of application? While there are probably dozens or even hundreds of theories on the failures of markets, I have focused on three that seem particularly relevant to price failures around aspects of sustainability. These are not intended to be exhaustive or mutually exclusive. In fact, for most cases, it appears that more than one factor may be at play. Price anchoring refers to our tendency to set a price constraint based on our preconceptions. In other words, we expect the price of a product or service to be between $X and $Y, and it is very difficult to reach a “true price” in the face of anchoring. For example, our perception is that new energy technologies and alternative energy technologies should be more expensive. The result is distrust of “cheap” energy technologies, which can only be overcome in time, even if the cost of the technology was low to start. Price anchoring can be a result of many factors, including social norms (as with energy technologies) or government intervention (such as subsidized products or services). Nothing enrages a commuter like a new toll road, even though the price may be pennies compared to the economic, social, and environmental costs of rush-hour traffic. The reason: roads have historically been free in the United States, thanks to aggressive government subsidization of the transportation infrastructure. In sustainability, the effect of price anchoring is particularly relevant in natural resource systems. Water, land, and energy have a long history of national significance and have therefore been the subject of intense government subsidy to support infrastructure and development. We, as a society, are firmly anchored to a low or zero cost of these resources reflected in our products and services. This theory challenges the inherent and assumed ability of the market to respond to sustainability challenges. The basic premise is that markets cannot predict chain reactions effectively and therefore are incapable of ever predicting appropriate price. Let’s take carbon and climate change as an example. Most of us are familiar with the positive environmental feedback loops of climate change. A “positive feedback loop” is a process in which a small disturbance in a system can amplify through interaction with other aspects of the system. For example, warmer temperatures in the Arctic may lead to thawing of subsurface tundra and the release of large quantities of trapped methane into the atmosphere. Methane is a powerful greenhouse gas, and release of these methane stores could exacerbate climate change and lead to warmer average temperatures. Another possible outcome is the reduction in snow cover, leading to reduced albedo (the reflection of infrared energy) and greater warming. However, the complexities of environmental feedback loops pale in comparison to the potential scenarios of socioeconomic feedback loops as our climate changes. Communities, nations, and economies stand to see potentially dramatic and costly feedback loops as we struggle to adapt to the perturbations brought on by climate change. These potential feedback loops range from the relatively simple (more severe weather leads to greater energy demand for heating, cooling, and materials production) to the complex. 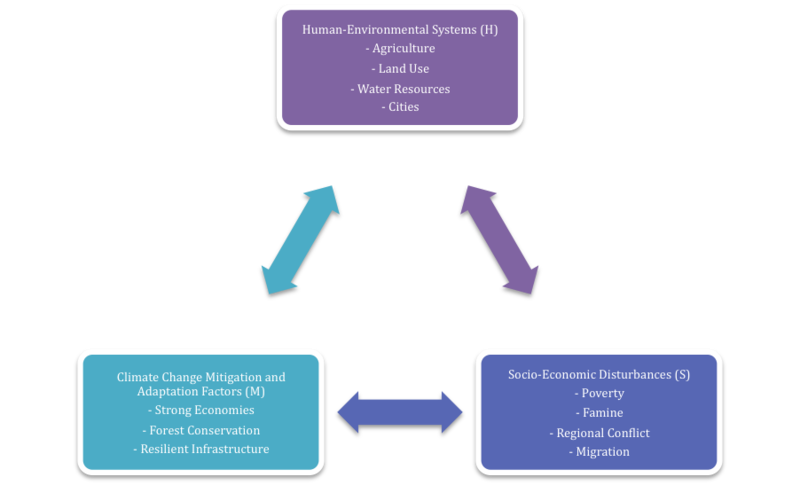 One of the most complex interactions is that of human-environmental systems (H), socioeconomic disturbances (S), and those factors that help us to mitigate or adapt to impacts from the changing climate (M), an interaction that can be termed MSH (Figure 1). The interaction between agriculture and climate change has been extensively studied. Although the nature of the interaction varies by region, there is growing consensus that climate change will have a negative impact on agriculture on a global level, owing to the increasing frequency of droughts and severe weather, and competition for water resources.,, Meanwhile, demand for food is projected to increase primarily from population growth. In the absence of revolutionary changes to demand, the result will be a significant expansion of agricultural land (at the expense of forests and other natural ecosystems) as well as an intensification of agricultural practices (including more intense use of water and fertilizers). While there are direct mechanisms for a positive feedback loop between intensification of agriculture and increases in atmospheric carbon dioxide, the potential for additional feedback loops grows exponentially when we consider the socioeconomic disturbances. Peter Gleick of the Pacific Institute recently wrote on the role of climate-change-induced drought in the eruption of the 2011 Syrian Civil War. Among the myriad political and social impacts of the war, we have seen migration of 0ver four million refugees, multiple regional conflicts, and the rise of extremist factions. Between these various factors and the resulting economic policies of large countries (such as sanctions), there is a growing regional economic crisis., Such poverty and instability hinders the ability of societies to mitigate greenhouse gas emissions or to adapt to the environmental impacts of climate change, resulting in potentially disastrous positive feedback loops. This is just one example of the potential of MSH interactions. Economic stability plays a central role in our ability to respond to climate change. Whether we are considering investments in infrastructure and protection from severe weather or capital investments in alternate-energy development, the actions we take to adapt to and mitigate climate change require stable and productive economies. And yet, our global economy is highly correlated with carbon dioxide emissions (as a proxy for economic growth), and evidence is mounting that climate change will result in more severe oscillations in economic boom-bust cycles, resulting in overall destabilization of the global economy. Of course, potential negative feedback loops also exist. Of particular note, migration trends have resulted in increased urbanization, and some evidence exists that cities, in comparison to expanding rural areas, are more capable of adapting to climate impacts and mitigating inputs to climate change. In the face of these complexities and the potential magnifications, it is highly unlikely that markets will be successful in predicting the appropriate price placed on carbon. This final theory speaks to one of my main concerns. That is, we are not operating in a free-market environment. Rather, the political playing field is heavily skewed toward private interests, and these private interests have significant incentives not to account for the externalities of sustainability impacts. By many accounts, and based on the evidence of multiple laws and court rulings, lobbying in the United States has reached unprecedented levels, and its influence on lawmakers is at an all time high. The amount of money spent by private interests to influence lawmakers continues to rise, thanks in part to the Supreme Court decision in Citizens United v. Federal Election Commission. It’s difficult to put a number on the amount, as much of this money is now “dark” or untraceable. A recent article reported $6 billion was spent on lobbying during the 2012 election campaigns and ~$600 million in dark money has been contributed between 2010 and early 2015. Lest you think this money is from objective sources, consider that U.S. corporations and individuals spent about $3.2 billion in 2015 on lobbying, and this money has resulted in some fairly substantial economic benefits. Beyond the money, there is the question of time and people. We hear more and more about laws written by the very companies to be regulated, because congressional staffers are few and far between, underpaid, temporary, and relatively inexperienced. Compared to the efficiency and expertise offered by lobbyists and the companies they represent, it is simply a judicious decision for congressional staffers to ask for outside help, or to fail to read the proposed laws when they are submitted. Under these circumstances, it is easy to imagine that the balance of power and negotiation in government is not equal and the significant influence advantage goes to large corporations over the small organizations and individuals represented. Combine this with the economic driver of these corporations to ignore or minimize accrual of costs from externalities, and we are not operating in a free market where prices can evolve to reflect sustainability costs. Under this scenario, it seems naïve to think that there will be any momentum toward a more realistic price in issues of sustainability. In fact, we appear to be in the opposite situation, where government is pushing against realistic pricing and is instead incentivizing artificially low prices in response to significant private-interest pressure. In the face of such intractable hurdles, it is easy to give up, run for the hills, and build an underground bomb shelter. But of course, we as a society have not given up. What we have done is to settle in on a persistent evolution of progress. I would characterize this approach as one that looks at the challenges we face for aspects that we can control or influence and then slowly changes them, achieving incremental improvements. Multiplied by thousands and millions of actors, the net improvement can, theoretically, be massive. For individuals, we should think globally, act locally—meaning we should consider the global challenges and then recycle that glass bottle as one small part of the bigger picture. For governments, we should regulate—meaning we should force companies and individuals within our purview to consider and account for the externalities of their action. While progress in these forms is noteworthy and even beneficial, it likely will not be enough. The effects of systemic, global sustainability impacts are already upon us despite our persistent approach, and we may already be driving ourselves over the proverbial cliff. Johan Rockström and colleagues, when describing a model for assessing planetary boundaries, began their discussion with this note: “Anthropogenic pressures on the Earth System have reached a scale where abrupt global environmental change can no longer be excluded.” The model was extended by Kate Raworth of Oxfam to account for socioeconomic sustainability as well.The take-away message: that as we place more strain on human and natural systems, we drive toward potential tipping points, over which the impacts can cascade and magnify. Even when we look forward and project our improvements, the world that our children will have to endure looks much more bleak than any we have enjoyed. Energy and climate projections predict that we will blow through the 350 ppm, and likely the 450 ppm carbon dioxide concentration in the atmosphere that the IPCC marked as necessary to constrain global warming to 2oC (a value that is seen as “less than catastrophic”). These projections include all the incremental improvements in energy efficiency and new, cleaner energy technologies. The message seems clear—that incremental improvement, no matter how deliberate or widespread, won’t be sufficient for many of the sustainability challenges we now face; that is, our evolution is not keeping pace with our ecology. What if we changed the approach? What if we gave up control in the interests of transformative change? Perhaps our best chance at this point is to set the wheels of revolution in motion without knowing which direction that revolution might take. Such a leap of faith requires several things. It requires a slight sense of desperation, which admittedly not everyone feels. It also requires a trust in the power of institutions and ingenuity. Because radical change requires innovation on an extraordinary level: invention, communication, dissemination, adoption, and scaling. Positive change requires that we act according to the norms and informal rules that institutions provide. For example, we trust that private enterprises are efficient, but do we trust that they will act in our best interests so long as the economic circumstances align with those interests (or do you believe corporations are inherently evil)? If revolution and transformative change are the way forward, then our goal should not be to stabilize markets and control externalities under the status quo. Our goal should be to destabilize markets in order to force new models of enterprise. Throw out the current, comfortable incentives structures for investors based on short-term profit. Abandon our anchored perception of what is ‘acceptable growth’. Challenge the distinction between public and private enterprises with new models of business. First is the potential revaluation of companies that rely on fossil fuel reserves. Frequently discussed under the banner of stranded assets, this argument is couched in moral terms (that is, there is a moral imperative to leave assets unburned in order to address climate change and the future of society). There are economic arguments as well. For example, the need to utilize these resources is underpinned by projections on economic growth over the next 30 years—energy companies argue that meeting energy demand to fuel growth is the greatest challenge and that all existing assets, plus more, will be required to meet this demand. But these arguments rely on a few very large assumptions—in particular the growth of the middle class in China with concomitant growth in consumerism and energy use. Indeed China’s middle class has grown at an astonishing rate over the past 10 years. But there may be cracks in the façade. Some are arguing that such growth is unsustainable as the overall economic growth of China slows and that the Chinese government has not supported the shift to a more innovative economy that will be necessary to support the higher incomes of a large middle class. If our projections of economic growth are overly optimistic, or if efficiencies in energy consumption allow us to increasingly decouple economic growth from fossil fuel consumption, then the projections on energy use may well be too high. In economic terms, this would result in downward adjustments in the value of fossil fuel reserves—effectively stranding assets that are more difficult to access, creating a shift in the valuation of energy companies, and creating a tipping point away from traditional sources toward alternative energy. The second revolutionary factor is the emergence of regulations. Regulations in sustainability are nothing new and continue to evolve. But there are signs that our incremental approach to regulating sustainability externalities may be shifting. Aggressive and sweeping regulations are emerging in which the policymakers are opening the door to potentially enormous shifts. For example, California has issued an Executive Order to reduce emissions by 80% below 1990 levels by 2050. On face value, this appears to be another in a long list of political commitments. There are, however, key differences with incremental examples of cap-and-trade mechanisms. In particular, the commitment is to an end state, not a market mechanism. Calculations of what this target will entail indicate that California will essentially need to eliminate fossil-fuel-use in automobiles and radically shift electricity generation away from fossil fuels. Focusing on the end-state goal rather than the mechanism of change is an example of a transformative policy commitment that can revolutionize the energy industry in California. The final, and most powerful revolutionary force is the generational change that is already underway. The so-called millennial generation is now entering its economic growth phase—peak earning years combined with an intergenerational wealth transfer as their parents move wealth to the millennials. This is not a linear transition and the movement of wealth into the hands of the millennials is accelerating rapidly. Combine this wealth transfer with a strong sense of global connection and greater environmental awareness, and the emergence of the millennial generation has the potential to radically alter the economic landscape with regard to sustainability externalities. Combined, these forces (revaluation of fossil fuel assets, broad regulations, and generational transfer) have the potential to destabilize our current approach to sustainability. The outcomes of such a destabilization are far from clear. Would the result be another failed socialism—another blip on the long list of human failures? Undoubtedly. In fact, I would venture to guess that there would be many more failures than successes. That is the nature of disruptive innovation. But there remains the possibility, perhaps even the likelihood, that something great will emerge. 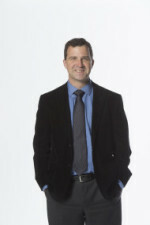 Todd Cort is a faculty member at the Yale School of Management and Yale School of Forestry and Environmental Studies. He also serves as the faculty co-director for the Yale Center for Business and the Environment (CBEY) and adjunct faculty member with the Columbia University Earth Institute. He holds a PhD in civil and environmental engineering, master’s and bachelor’s degrees in biochemistry, and a professional engineer’s license in California. 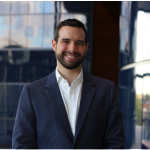 Dr. Cort previously served as director of Sustainability Advisory services for TUV Rheinland and Det Norske Veritas, where he consulted on sustainability matters including metrics, risk management, and auditing practices. Juan-Victor Seminario currently works at WaterAid America as program development officer for Latin America and the Caribbean. He joined WaterAid in the summer of 2015 following the completion of his master’s degree in advanced management at the Yale School of Management. With more than seven years of extensive experience working with civil society organizations, media, and government in Peru, Juan-Victor brings his accumulated skills and knowledge to support WaterAid’s growth initiative in Latin America. He studied International Relations at Claremont McKenna College and earned an MBA in EGADE Business School. He has written articles on Peru’s politics and co-edited a book on Peru’s National Congress. .Shleifer, Andrei, and Robert Vishny. 1991. Pervasive Shortages under Socialism. Working Paper No. w3791. National Bureau of Economic Research.
. “Pigou or No Pigou?” 2006. Petrol taxes. The Economist. Nov. 11. http://www.economist.com/node/8150198.
. International Energy Association. 2013. Redrawing the Energy Climate Map: World Energy Outlook Special Report, June 10.
. Costanza, R., R. d’Arge, R. de Groot, S. Farber, M. Grasso, B. Hannon, K. Limburg, S. Naeem, R. O’Neill, J. Paruelo, R. Raskin, P. Sutton, and M. van den Belt. 1997. “The Value of the World’s Ecosystem Services and Natural Capital.” Nature 387, May 15.
. Central Intelligence Agency, 1996. The 1995 CIA World Fact Book. Posted by the Project Gutenberg eBook, August 3, 2008. https://archive.org/stream/theciaworldfactb00571gut/571.txt.
. Jacobsson, Staffan, and Anna Johnson. 2000. “The Diffusion of Renewable Energy Technology: An Analytical Framework and Key Issues for Research.” Energy Policy 28.9: 625–640.
. Dyupina, Elena, and Andre van Amstel. 2013. “Albedo Arctic Methane.” Journal of Integrative Environmental Sciences 10.2: 93–105.
. Déry, Stephen J., and Ross D. Brown. 2007. “Recent Northern Hemisphere Snow Cover Extent Trends and Implications for the Snow—Albedo Feedback.” Geophysical Research Letters 34.22.
. Cline, W.R. 2007. Global Warming and Agriculture: Impact Estimates by Country. 2007. Washington, DC: Peterson Institute for International Economics, Volume 17.
. Nelson, G. C., M. W. Rosegrant, A. Palazzo, I. Gray, C. Ingersoll, R. Robertson, S. Tokgoz, and T. Zhu. 2010. Food Security, Farming and Climate Change to 2050. Washington, DC: International Food Policy Research Institute (IFPRI®).
. Osborne, T., G. Rose, and T. Wheeler. 2013. “Variation in the Global-Scale Impacts of Climate Change on Crop Productivity due to Climate Model Uncertainty and Adaptation.” Agric. For. Meteorol. 170: 183–194.
. U.S. Environmental Protection Agency. 2012. Available from http://www.epa.gov/climatechange/EPAactivities/economics/nonco2projections.html (accessed on 23 July 2014).
. Bajželj, B., and K. Richards. 2014. “The Positive Feedback Loop between the Impacts of Climate Change and Agricultural Expansion and Relocation.” Land 3(3): 898–916.
. Gleick, P. “Water, Drought, Climate Change and Conflict in Syria.” 2014. Wea. Climate Soc. 6: 331–340.
. United Nations High Commissioner on Refugees. 2015. “Total Number of Syrian Refugees Exceeds Four Million for First Time.” Press Release July 9, 2015. http://www.unhcr.org/559d67d46.html.
. Council on Foreign Relations. http://www.cfr.org/syria/syrias-crisis-global-response/p28402.
. Pedram, Shiva. 2014. “Syrian Refugee Crisis Threatens Stability in the Middle East.” Center for American Progress. https://www.americanprogress.org/issues/security/news/2014/08/12/95595/syrian-refugee-crisis-threatens-stability-in-the-middle-east/.
. OECD. Poverty and Climate Change: Reducing the Vulnerability of the Poor through Adaptation. http://www.oecd.org/env/cc/2502872.pdf. Barker, T., P. Elkins, and N. Johnstone. 1995. Global Warming and Energy Demand. London, UK: Routledge.
. Kellie-Smith, O., and P. Cox. 2011. “Emergent Dynamics of the Climate-Economy System in the Anthropocene.” Phil. Trans. R. Soc. : 369, 868–886.
. Seto, K., and D. Satterthwaite. 2010. 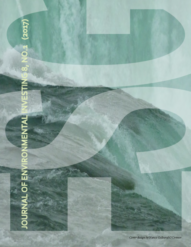 “Interactions Between Urbanization and Global Environmental Change.” Current Opinion in Environmental Sustainability 2(3): 127–128.
. Schouten, Fredreka. 2010. “Lobbying Industry Booms.” USA Today (Arlington, Va.) 05 Feb: A.4. Gannett Co. 03 Apr 2015.
. Burns, Natasha, and Jan Jindra. 2014. “Political Spending and Shareholder Wealth: The Effect of the U.S. Supreme Court Ruling in Citizens United.” American Politics Research. 42.4: 579–99.
. Torres-Spelliscy, Ciara. 2015. “Court Ruling Drowned Politics in Dark Money: The Front Burner.” Orlando Sentinel. March 13. http://www.orlandosentinel.com/opinion/os-ed-citizens-united-front-burner-con-20150312-story.html.
. Center for Responsible Politics. 2015. Lobbying Database, downloaded on January 29, 2016. https://www.opensecrets.org/lobby/index.php.
. Strauss, Steven. 2012. “Actually, Corporations That Lobby and Make Campaign Contributions Get Special Benefits.” Huffington Post. February 11. http://www.huffingtonpost.com/steven-strauss/actually-corporations-tha_b_1144789.html.
. Lipton, Eric, and Ben Protess. 2013. “Banks’ Lobbyists Help in Drafting Financial Bills.” New York Times Dealbook. May 23. http://dealbook.nytimes.com/2013/05/23/banks-lobbyists-help-in-drafting-financial-bills/?_r=0.
. Grim, Ryan, and Lucia Graves. 2013. “’Monsanto Protection Act’ Defended By Roy Blunt, Farm State Senator (UPDATE).” Huffington Post. May 23. http://www.huffingtonpost.com/2013/05/23/monsanto-protection-act_n_3322180.html.
. Fabian, Jordan. 2010. “Key Senate Democrat Suggests that He Didn’t Read Entire Healthcare Reform Bill.” The Hill. http://thehill.com/blogs/blog-briefing-room/news/115749-sen-baucus-suggests-he-did-not-read-entire-health-bill.
. Rockström, J., W. Steffen, K. Noone, Å. Persson, F. S. Chapin III, E. Lambin, T. M. Lenton, M. Scheffer, C. Folke, H. Schellnhuber, B. Nykvist, C. A. De Wit, T. Hughes, S. van der Leeuw, H. Rodhe, S. Sörlin, P. K. Snyder, R. Costanza, U. Svedin, M. Falkenmark, L. Karlberg, R. W. Corell, V. J. Fabry, J. Hansen, B. Walker, D. Liverman, K. Richardson, P. Crutzen, and J. Foley. 2009. “Planetary Boundaries: Exploring the Safe Operating Space for Humanity. Ecology and Society 14(2): 32.
. Raworth, Kate. N.d. “The Doughnut.” Exploring Doughnut Economics. http://www.kateraworth.com/doughnut/.
. Lieberman, Bruce. 2012. “Forget about That 2-Degree Future.” Yale Climate Connections. http://www.yaleclimateconnections.org/2012/12/forget-about-that-2-degree-future/.
. Barton, D., Y. Chen, and A. Jin. 2013. “Mapping China’s Middle Class.” June. McKinsey Quarterly.
 . Carlson, B. 2012. “Why China’s Middle Class is Nervous.” September 10. Global Post.
. California Executive Order S-3-05.
. California Council on Science and Technology. 2011. “California’s Energy Future: The View to 2050, Summary Report.” June.